A lot of brides are unsure whether or not bridal portraits are worth doing, but in the right situations, they can turn out to be so special. 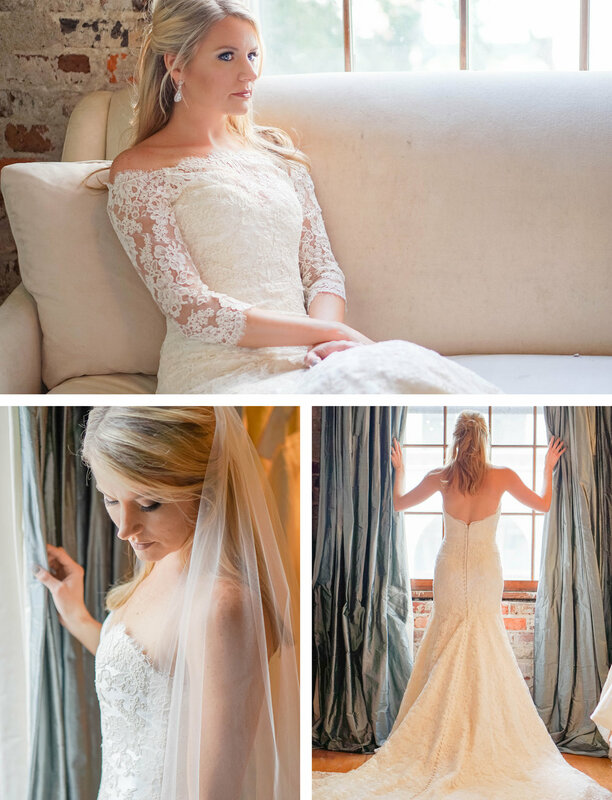 In the case of Heather, we snapped them on the same morning as her trial run for hair and makeup in the most adorable bridal boutique in Uptown Charlotte. The best part was that we were able to include not only her mother, but her best friend and MOH, who was also in the midst of planning her own wedding just a few months after Heather's! 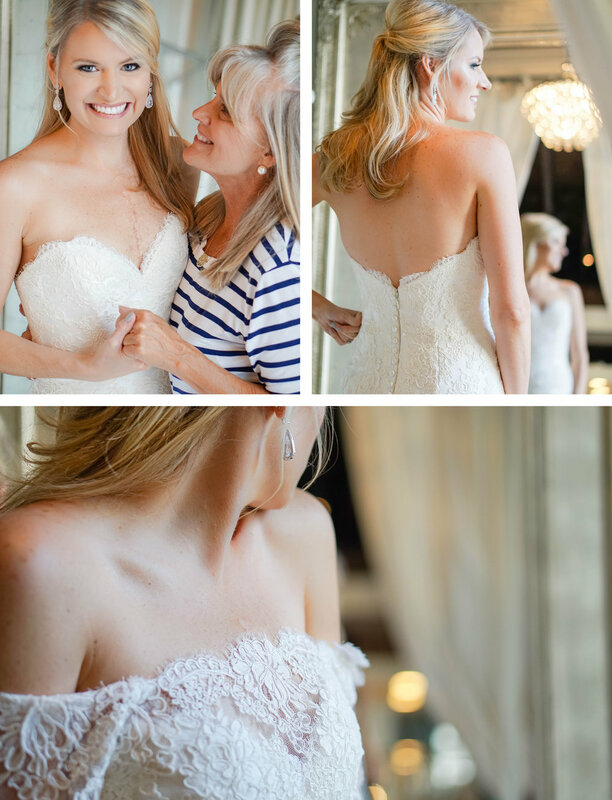 The whole experience was incredibly meaningful, and made the bridal portraits so much more worth it. It also helped that I've known Heather for 10 years and was able to (as best as I could) help her feel as comfortable as possible. 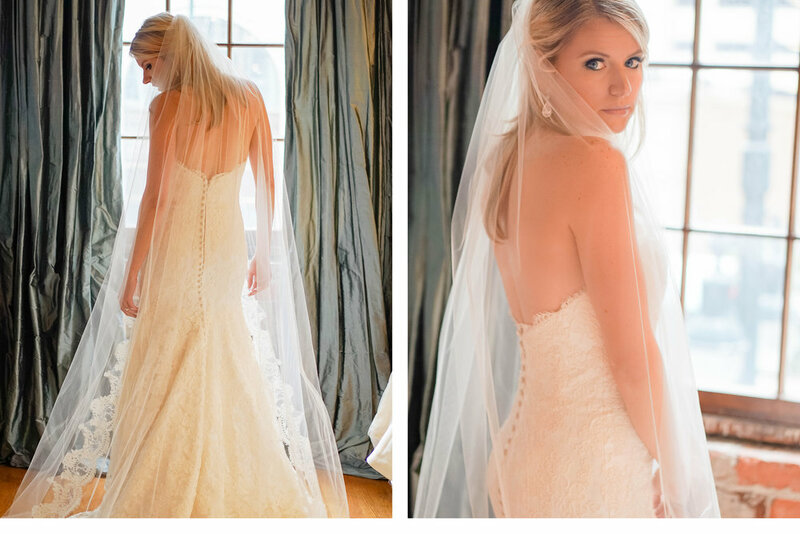 It's so easy for bridal portraits to feel awkward...and they generally are! Nine times out of ten, you haven't spent your life posing in front of a camera by yourself, much less in a wedding gown. But with the right photographer, you can use bridal portraits as an opportunity to work together to understand your best angles and get a sense of how you will look on your wedding day. So relax your nerves with a glass of champs (or two), and embrace the awkward! After 20 minutes, you'll start to feel like a natural.